Oh, that is so exciting Jen! What a wonderful thing to happen to you and your adorable little softies! Congratulations Jen! That is wonderful. So proud of ya! That is great news Jen! How exciting for you. 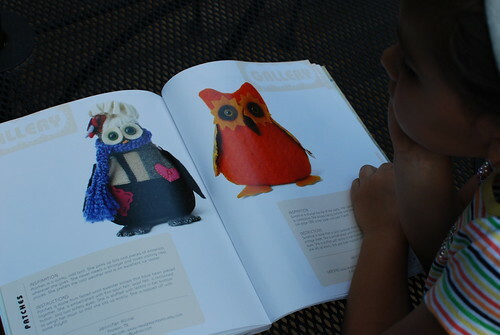 You should be very proud of yourself and your wonderful little owls. You can now say "I've been published!" Oh, Jen! 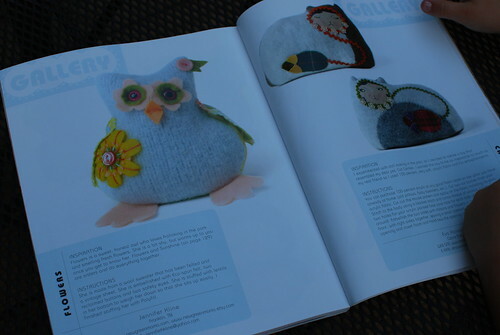 How amazing - although I'm not entirely surprised - your crafts are wonderful and they totally deserve to be in print! How awesome!!!! I agree with Carrie- totally deserving. Congrats. Exciting. You're a super star. FYI: SLURPEE straws were tested by The Smart Mama and were found to be aluminum alloy- ACK!!! Hope you didn't get any yet- I did...3! O'well- to good to be true. Sorry about that. WOW! Congratulations! Sooo exciting - you deserve it! Eeek! Wow Jen, that is so exciting and awesome! And deserved! That is exciting news! Congratulations -- I'll have to look for it in my bookstore too!